At Biltmore Dental Assisting Academy, we aim to inspire and prepare future dental assistants to become caring healthcare professionals with the desire to serve the patients with patience and compassion. Biltmore Dental Assisting Academy offers instruction in all requirements for a basic understanding of dentistry and proficiency of tasks delegated to the dental assistant by a licensed dentist in the state of Arizona. Read more below or call now if you have any questions! Have a government issued ID. Have a high school or equivalency diploma (GED). Efficient — you can complete the program in short time. You’ll finish ready for an entry-level dental assisting position and a new career! Flexible schedule — you can keep your job while you’re in the program. Affordable — we understand budgets and have payment plans available. Graduate with a Dental Assisting Certificate of Completion, CPR certification, and be prepared to take the DANB Radiation Health and Safety Exam. Get hands-on training from qualified, experienced instructors in reality-based environment. 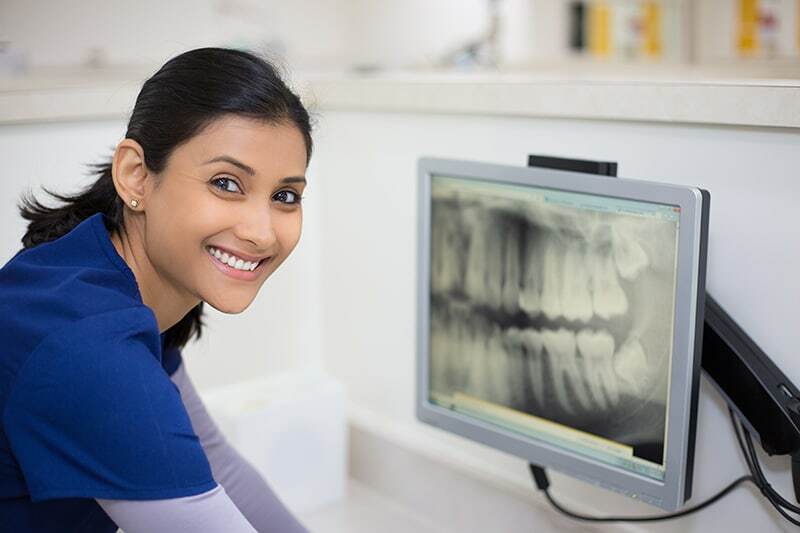 Be exposed to modern equipment and technology including the lasers, dental image scanning, and CAD/CAM technology used daily in the dental office where you will be taught. Ready to start an exciting and rewarding career?